My "All Fired Up" Collection is yet another in this series! So what would be Summer without a lovely backyard BBQ, right? Well that's what I think anyhow so I thought I'd create me a BBQ kit for all those weenie roasts and picnics! 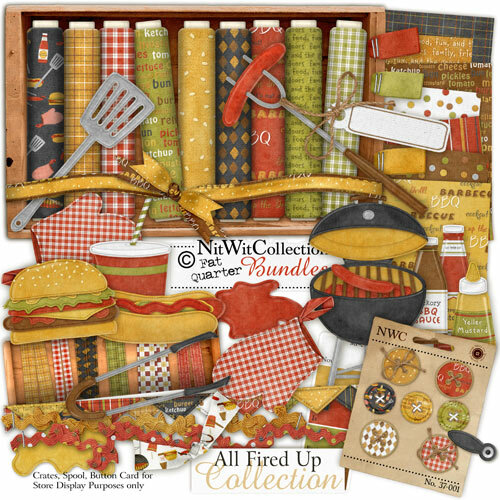 This kit is sure to be a hit for all your BBQ Invitations, Family Reunion photos, or any time you just feel like having a burger and a shake! It's full of weenies, burgers, tongs, condiments, and, of course, a BBQ! Hope you all have a sizzlin' summer too!